Dehydrated so it's light to carry, nutritious so it keeps you going, and delicious so you'll look forward to it! 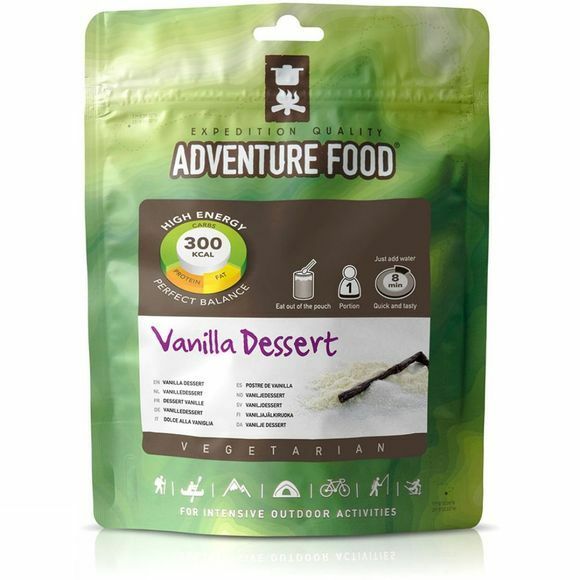 Simply add water to the Adventure Food Vanilla Dessert sachet for a touch of outdoor indulgence. Milk powder, 31% sugar, 22% yoghurt powder, modified corn starch (modified corn starch), flavouring, natural vanilla (0,1%), maltodextrin.